Three days after Drew Darby steamrolled HB 40 through the Texas Legislature, leaving cities with little control over oil and gas development, residents in North Texas experienced a lightning strike at one well and a M4.0 earthquake. There were also tornadoes last night so…fracknadoquake or maybe frackquakenado. Help protect Denton’s fracking ban! Lightning loves to strike oil and gas facilities. I have lots of blog posts about lightning striking wells. The strike in Denton last night hit the wellhead at a Vantage Energy well. The Denton Fire Department has been dealing with the fire all night. Vantage said they would not have a crew on site for 7 hours. I guess they needed a good night’s sleep. So, raw gas from the wellhead is being flared and monitored by the fire department. I wonder if Vantage will reimburse the city. Here is a press briefing filmed by a resident. While Drew Darby and Myra Crownover were home asleep in their beds, the people in Denton were afraid their homes would burn and the people in Mansfield and Irving worried about frackquakes. Video from gas well neighbor. More in post last night. I’m sure the Denton Record Chronicle will have a story up soon. I will update as more information becomes available. CBS: Denton gas well burns after lightning strike Good video. 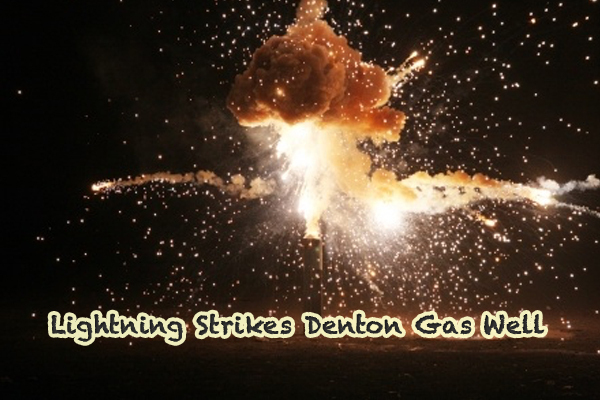 NTDaily: Natural gas well explodes in Denton. Great video taken by resident. This appears to be the location of the Vantage well. It is likely that Vantage purchased this site with the intent to expand the pad and add more wells. @TXsharon @yeungaileen @timesunion Thankfully, there were no injuries. Stop lying. 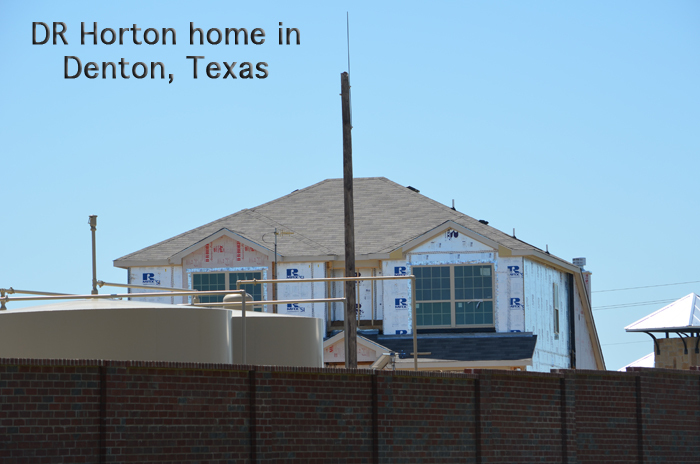 Denton Record Chronicle: Denton gas well fire – Article updated with some great information. She estimated the wellhead to be about 1300 feet from her house. At that point, her sister had run to her home. “I stepped outside to the strongest chemical, petroleum and tar smell I have ever smelled in my life,” Bagheri said. Officials did not order an evacuation but people self-evacuated. BOOM–GOES TEXAS!!!!! Want one of these gas wells within 200 ft of your residential living quarters?? In Texas, DO NOT spend a lot of money on a residential homestead, live in a shack or trailer–that way if the place goes BOOM, then you haven’t lost much of your money. Never buy a house in Texas unless it have wheels. horrible to subject folks to fire and risk and industrial odors….Amazing that those in power are willing to promote and support this Toxic Industry over people’s lives, health, safety…..